Our professional Velcro soccer balls are made to stick on giant Velcro Dartboards. Price is per ball and they will ship deflated. The velcro on our Velcro Soccer balls is the soft or Loop side so please make sure this will work on your Giant Velcro Soccer Dart Board before ordering. The Velcro Soccer balls approximately size 3 or 4. We also sell Number 5 Velcro Soccer Balls more suited for adults but you would need to call in to order the #5 Velcro Soccer Balls. Best Velcro balls I've seen. They actually stick and are well made to last a long time. Thanks! Q: What side of the velcro is this? The hook (rough) side of the loop (soft) side? A: Our Velcro Balls have the loop side or soft side attached to the ball. Q: Just confirming this is the loop/hook side of the velcro? We have a soccer dart inflatable that has the felt side. Please let us know. Thanks. 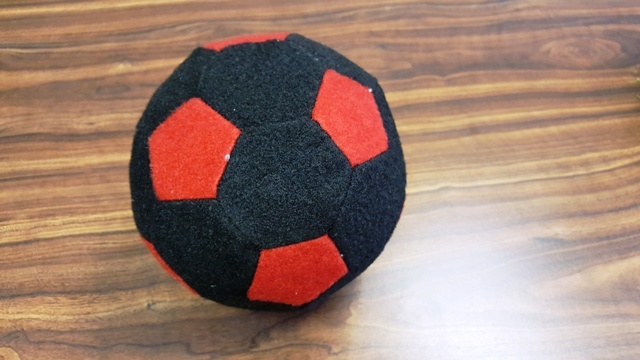 Our Velcro Soccer balls are made with the loop side (soft side of Velcro) It would be best to call the manufacture of your Velcro Dart Board and make sure they used the hook side on your game. Q: Hi ,I am interested in purchasing a dart soccer game . Is the board the spikey Velcro or the felt material ,are the balls like the felt training balls or are they the rough side .? ?..